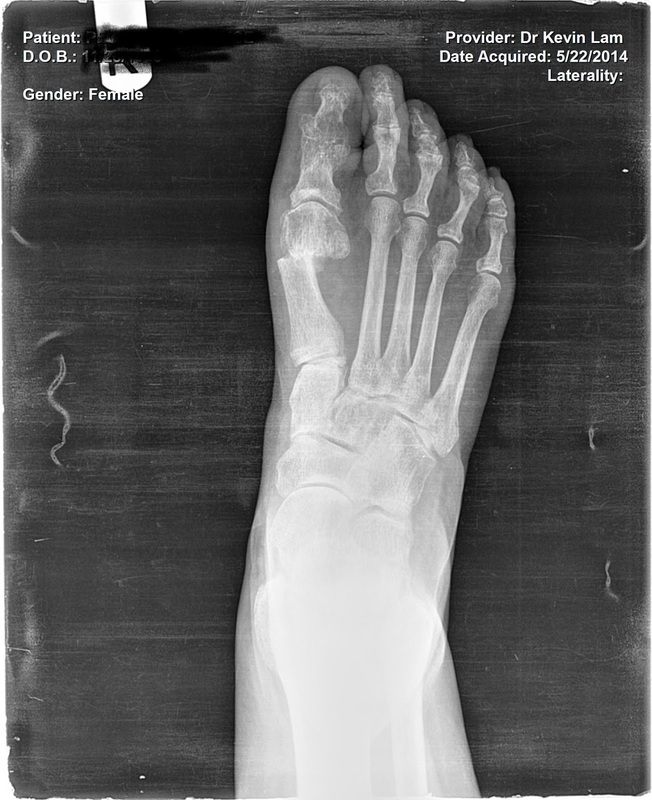 Patient had bunionectomy 20 + years ago. 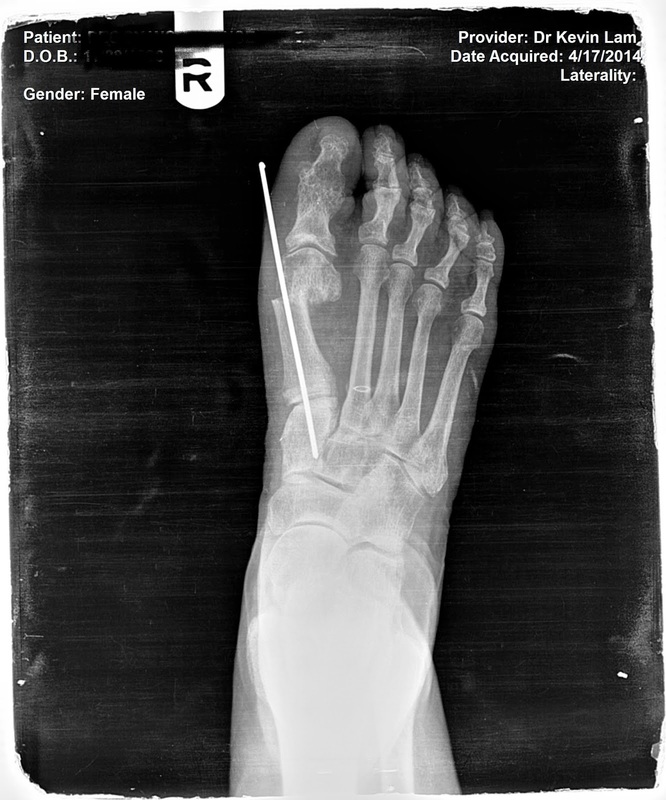 You can see the preop right foot. During recovery and fully recovered. You will note that the screw was removed and the angular deformity has been corrected. Guess who's coming back for the left foot revision? 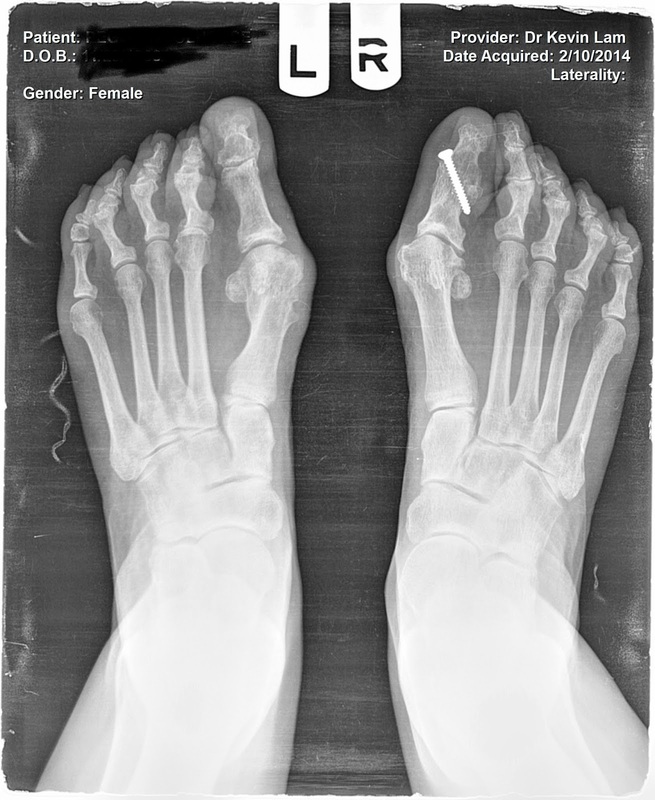 This modification of the Peabody bunionectomy not only is good for initial bunion surgery but also for revisions.